Beautiful Agoura Hills is a great community for those looking for a quiet lifestyle while still being commuter friendly, as it is nestled between the eastern edge of the San Fernando Valley and the beach communities located in Ventura County. Known for its rolling hills, quiet neighborhoods and beautiful homes, Agoura Hills is a great place to call home! Known for its rolling hills, quiet neighborhoods and beautiful homes, Hiking, Biking and beautiful Equestrian Trails, Agoura Hills serves as the Santa Monica Mountains National Recreational Area. We encourage you to take advantage of the events & opportunties of "The Park Next Door" Recreational Trails & Maps, demographics, parks, service directory. 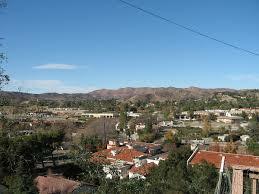 Agoura Hills is a great place to call home!